Join us Sunday, September 30 at 10:20 AM for the special service honoring our pastor, Kirk Beard. Pastor Beard came to Hemet and started Parkway Baptist Church in September of 1998. 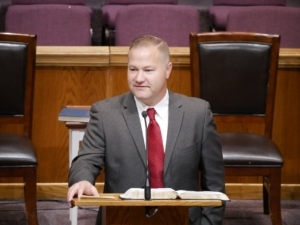 Since then, he was instrumental in the merger of Parkway Baptist Church and Living Hope Baptist Church into what is now Crossroads Baptist Church. We will have a guest speaker for this wonderful Sunday. Also, there will be many treats and surprises as we honor 20 years of faithful service to our Saviour.